Improving the circumstances of families from deprived backgrounds has been a key policy focus of government in recent years, with large amounts of resources and funding having been allocated to trying to improve families’ outcomes. One approach to achieving this, which can lead to positive outcomes for both adults and children is family learning – the importance of which is receiving increasing attention. Family learning has been described as “any learning activity that involves both children and adult family members, where learning outcomes are intended for both, and that contributes to a culture of learning in the family”. It can involve both formal and informal provision, such as engagement with programmes such as Booksmart or attending events at libraries and museums. Parents may not even be aware that activities such as reading to their children from an early age, or singing with them, constitutes a learning activity. Unfortunately, research indicates that a large number of parents do not engage in these activities at all, despite evidence that a home environment which encourages learning and communication is as important an indicator of a child’s achievement as parental income and social status. Research from the National Literacy Trust, suggests that “parental involvement in their child’s reading has been found to be the most important determinant of language and emergent literacy”. With real concerns raised over children’s basic skills in recent years, family learning could be part of the solution. Last year, the National Literacy Trust highlighted analysis which showed that 86% of English constituencies contained at least one ward with “urgent literacy need”. The latest edition of the Scottish Survey of Literacy and Numeracy showed there was a seven point drop in P7 pupils who can write well or very well between 2012 and 2016. And in November 2016, 79% of Reception teachers in Wales surveyed for Save the Children reported seeing children starting school without the ability to speak in complete sentences. One primary headteacher highlighted the “huge need for parental awareness and engagement”. In comparison, primary schools in Northern Ireland continue to rank among the best in the world in maths. 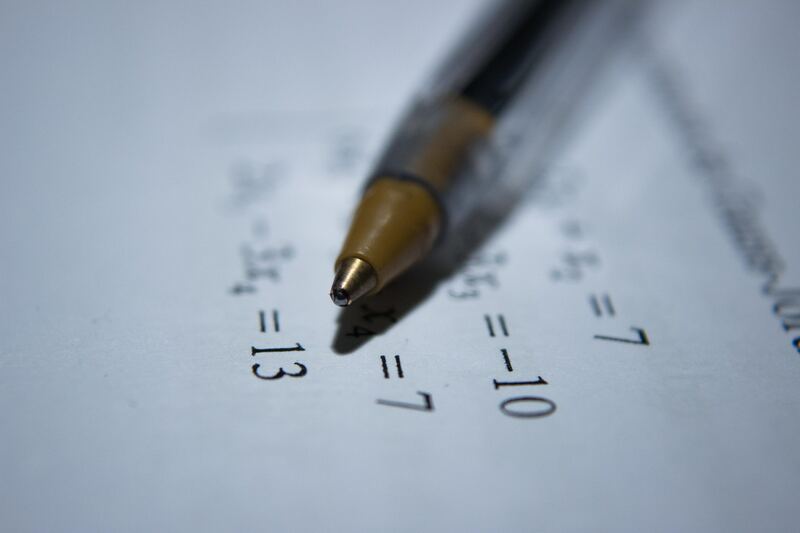 The latest edition of Trends in International Mathematics and Science Study (TIMSS) shows that Northern Irish children are the best in Europe at maths, and sixth best in the world. The education system in Northern Ireland prioritises a policy of Parental Involvement in Numeracy (PIN), and government policy is to impress upon parents the role that they must play in the development of essential basic skills. The government has also just launched its ‘Giving your child a helping hand’ campaign, which is aimed at increasing parental involvement in the education of their children. As children spend only around 15% of their time involved in formal learning activities, i.e. in school, there is substantial scope for them to be involved in more informal learning activities that will benefit both their academic and personal development. Research has shown that family learning interventions could increase children’s overall development levels by up to 15 percentage points for those from deprived backgrounds, and induce an average reading attainment improvement of six months. Survey findings published by Ofsted also found that participation in family learning courses improved children’s behaviour in class, as well as their relationships with their peers and teachers. Teachers also reported noticing improvements in their pupils’ confidence levels, and their communication and interpersonal skills. For adults, family learning offers two key positive outcomes for parents: the development of their relationship with their child, and personal skills development. As with children, the basic skills of adults in the UK remains a cause for concern. In 2016, the Joseph Rowntree Foundation published analysis which suggests that around five million adults in England lack the basic reading, writing and numeracy skills required to complete everyday tasks. Similar deficiencies have been found in Scotland, Wales and Northern Ireland. Less quantitative evidence exists of the impact of family learning engagement on adult literacy levels. However, it has been found that the average portion of adult learners achieving a qualification on family literacy programmes is higher than those on standard programmes. An evaluation of the Family Learning Impact Fund (FLIF) found that 85% of learners taking part achieved some sort of progression through taking part in a FLIF course, such as going onto a higher level of learning, or new or improved employment. The Department for Business, Innovation and Skills (BIS) has also highlighted a wider societal impact arising from adults taking part in family learning activities, in terms of participation in volunteering and community activities. In addition to better outcomes for children, adults and society, family learning can also benefit the government. It is relatively low cost, as it draws on many existing resources such as libraries and museums. It could be argued that the socioeconomic benefits of family learning could help to ease the burden on government resources at the same time as improving families’ outcomes. Clearly, the benefits of family learning to society and the government can’t be ignored – particularly with increasingly tight budgets. Supporting those who serve – but what about the children? The valuable contribution made by the British armed forces is widely recognised and this Remembrance Sunday, thousands will pay an especial tribute to them. In recent years, the government has taken encouraging steps to support Service personnel, particularly those returning to civilian life. However, there is also a need to address the effects of military life upon families and children, in particular. A recent report by the Centre for Social Justice (CSJ) highlighted the many unique challenges that military families face, including extreme mobility, inflexible work regimes, frequent separations, and the consequences of mental illness on the entire family. Children can be particularly affected, with significant effects upon the way they lead their lives both during the time of service and in the future. Evidence suggests the demands of serving in the armed forces can put relationships under strain, leading to substantial demands on both spouses and children. Children can be particularly affected by frequent moves that can disrupt their education and affect their friendships. The number of children affected by mobility is sizable. According to a study by Ofsted, the average mobility for Service children in primary schools is around 70% every year. Indeed, this figure may be even higher as there is no accurate record of the number of Service children in the UK. The study also indicated that many Service children who move frequently do not perform as well as their peers and are less likely to achieve higher grades if they miss or repeat parts of the curriculum. There was evidence to suggest that the learning of many children had slowed or receded by continual moves and that they needed additional support to catch up. As the CSJ argues, “education is one of the most important factors that will help military children after their family leaves the Armed Forces”. It is therefore vitally important that they receive the support they need. Some positive steps have been taken to provide service children with additional support. In June 2014, the government introduced a Pupil Information Profile (PIP), which provides some basic information for teachers about children from military families making the transition between schools. It is suggested that these, along with Moving Schools Children’s Activity Packs (filled in by the child and sent to the school) have gone some way to addressing the alarming lack of communication between schools. However, it is also noted that the poor transfer of information between schools remains a problem as the PIP still only requires very basic information and both the PIP and Activity Packs rely on parents and teachers being aware of their existence. A number of important outcomes have been achieved through the government’s Armed Forces Covenant, including a Service Pupil Premium (SPP) in England so that 60,000 Service pupils in state schools get extra support. The SPP acknowledges that Service children need more assistance. Thus, since 2013, in addition to the Pupil Premium, the government has also offered a SPP of £300 a year per child of Service personnel on the school roll. Similarly to the PIP, this also relies on parents informing the school that one of them is in the Service. With no accurate record of the number of children in need, it is therefore not possible to know whether children and schools are receiving the extra assistance required. The report therefore sets out a series of recommendations for improvement in support for military families, including several targeting children’s education. In particular, it calls for increased stability of education for Service children and greater support for transitory children, their parents and the schools.